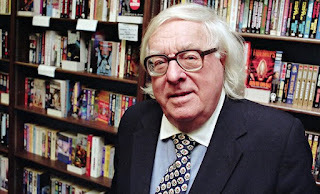 Ray Bradbury, best know for writing Fahrenheit 451 and Something Wicked This Way Comes, died June 5 at the age of 91. The first book I ever read of his, way back in the late 70's or early 80's, don't remember exactly, was The Martian Chronicles. My husband and I recently each read Fahrenheit 451 and had fun sharing our thoughts about the story and big brother and other issues. All his stories stand the test of time and are well worth reading over again, each time pulling something different out of them. Over the past few days, many authors have been sharing their memories and thoughts about Bradbury and what his stories have meant to them. Chuck Wendig of Terribleminds shares his thoughts about his scary short story "The Veldt" which lead to the link on You Tube of Stephen Colbert reading the story: Part 1, Part 2, and Part 3. Read online while listening and just imagine! "I have been a library jackdaw all of my life, which means I have never gone into that lovely holy place with a book list, but only with my beady bright eyes and my curious paws, monkey-climbing the stacks over among the children's and then again where I was not allowed, burrowing among the adult's mysterious books. I would take home, at the age of ten, eight books at a time, from eight different categories, and rub my nose in them and all but lie down and roll on them like a frolicsome springtime dog...."
"and the more you read, the more the ideas begin to explode around inside your head, run riot, meet head-on in beautiful collisions so that when you go to bed at night the damned visions color the ceiling and light the walls with huge exploits and wonderful discoveries...."
"I may start a night's read with a James Bond novel, move on to Shakespeare for half an hour, dip into Dylan Thomas for five minutes, make a fast turnabout and fasten on Fu Manchu, that great and evil oriental doctor, ancestor of Dr. No, then pick up Emily Dickinson, and end my evening with Ross MacDonald, the detective novelist, or Robert Frost, that crusty poet of the American rural spirit. The fact should be plain now: I am an amiable compost heap...."
"I am a junkyard, then, of all the libraries and bookstores I ever fell into or leaned upon, and am proud that I never developed such a rare taste that I could not go back and jog with Tarzan or hit the Yellow Brick Road with Dorothy, both characters and their books banned for fifty years by all librarians and most educators. I have had my own loves, and gone my own way to become my own self. I highly recommend you do the same. However crazy your desire, however wild your need, however dumb your taste may seem to others....follow it!" In honor of Ray Bradbury, read one of his books this month. only finished one book this week, Dragon's Keep by Janet Lee Carey. Mr. Bradbury's death is still to fresh for me to talk about. 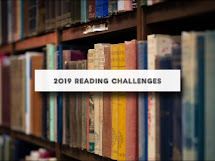 Playing catch up with my challenge. This has been harder than I thought it would be. The memories of Jaycee from her abduction and through 18 years of captivity. I'll be gone for the next two weekends so I played ahead ... of the books I have read this year, Arcadia may be the best for character development and Let's Pretend This Never Happened for laugh out loud, tears streaming down my face funny. See you all in July! Need to read some more Bradbury! We did a lot with "Fahrenheit 451" each year at my school during Banned Books Week, but I haven't read any of his other books yet. sad :( I didn't know he died. Here's a great book for some inspiring summer reading. LOVe, love, love the Bradbury quote! I am so relieved there is someone else who reads like me. My husband never knows what will turn up in the same evening. The other day her was hearing *The Ascent of George Washington* and came back again, and i was listening to *On Prayer and Contemplation* by Thomas Aquinas. Next thing he knew I was in bed with my nose stuck in a Hemingway book. Relief to know this brilliant man was all over the map too!!!!! Loving Diane Chamberlain-- why Jodi Picoult gets all the accolades is beyond me... I prefer Diane, I think! I read a Bradbury fable (that I'd never heard of)--it's in the link above.